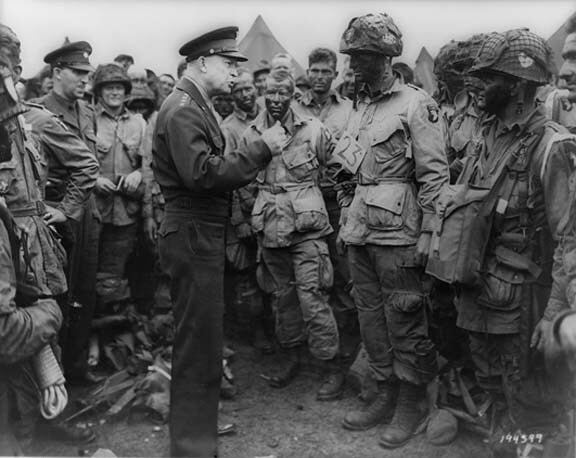 Gen. Dwight D. Eisenhower briefs members of the 101st Airborne Division in the hours just before they were dropped into France as the opening assault of D-Day, 6 June 1944. The photo was taken at the airfield in Newbury England on 5 June. 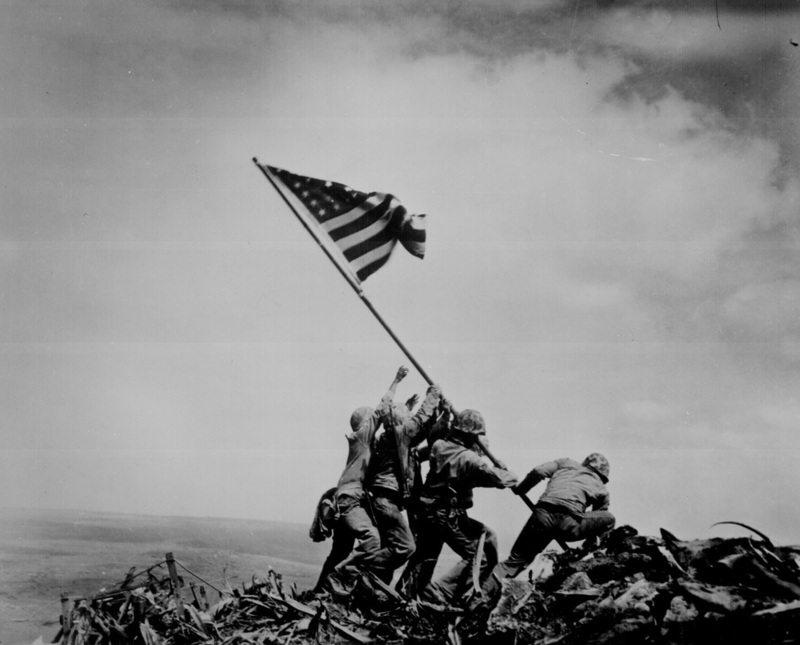 World War II began September 3, 1939. September 1939: Germany invades Poland, starting World War II. Britain and France declare war on Germany. April 1940: Germany invades Norway and Denmark. 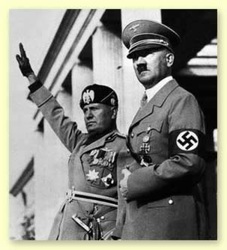 May 1940: Germany invades Belgium and the Netherlands. July 1940: Germany begins bombing Britain. June 1941: Germany invades the Soviet Union. December 1941: Japan bombs Pearl Harbor. The U.S. declares war on Japan. February 1942: Japan captures Singapore. May 1942: Japan captures the Philippines and Burma. June 1942: The tide turns — the Allies defeat Japan in the Battle of Midway. February 1943: German troops surrender in Stalingrad, USSR. May 1943: Axis troops in northern Africa surrender. November 1943: U.S. forces invade Tarawa. June 1944: D-day: Allied troops land in France and begin invasion. October 1944: Japan's navy is defeated near the Philippines. 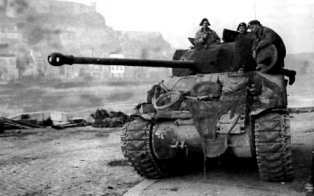 December 1944: Germans fight back in Battle of the Bulge. March 1945: Allied troops capture Iwo Jima. May 1945: Germany surrenders, ending World War II in Europe. 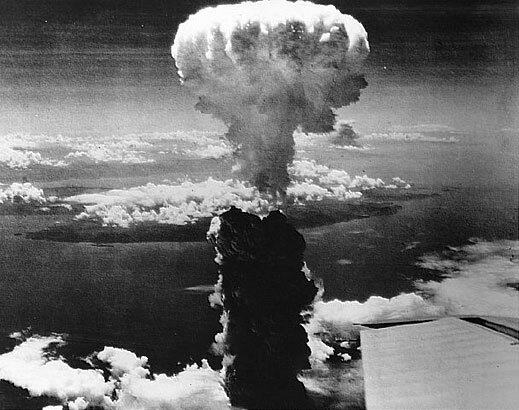 August 1945: Atomic bombs dropped on Hiroshima and Nagasaki. September 1945: Japan signs surrender agreement, ending war.